Turquoise Stone Silver Wire Wrap Bangle 3pcs. 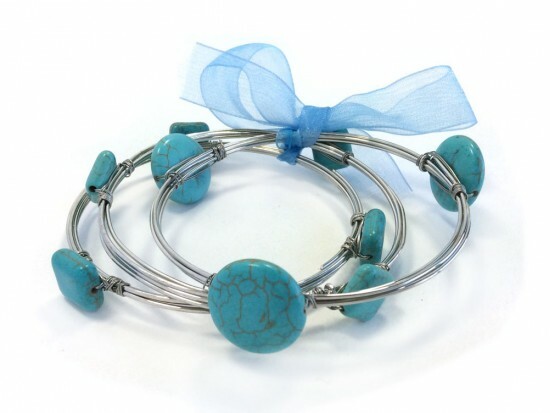 Round and Diamond shaped stone beads wire wrapped onto bands. 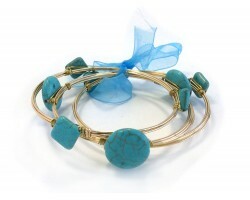 3 sets of bangles in one large set all for the price of one.